Bronzing & Blush Compact (C$42.00) is a bronzing and blush compact that warms up the complexion with three different matte shades along with a warm orange blush. The texture is soft and light, it melts into the skin giving a nice sun-kissed effect. I personally love to contour and bronze in way where you don’t see harsh lines, it must blend evenly throughout the complexion. I loved how this bronzer come in three different shades to really blends and evenly distributes the product where you can’t detect any harsh lines. The shades are not too orange or too gray. 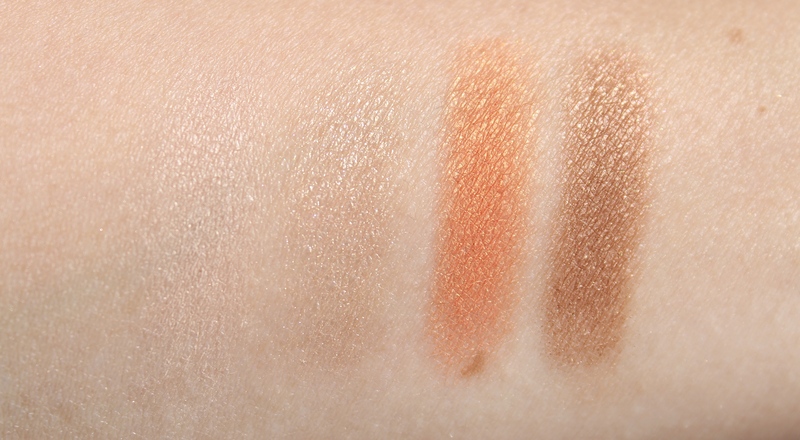 The orange shades blush literally gives cheeks a beautiful glow with a nice warm orange under tone. It carries micro golden shimmer to give complexion a nice glowing effect. You can apply each shade alone for more sculpt look or swirl you brush through the compact for a glowing complexion. 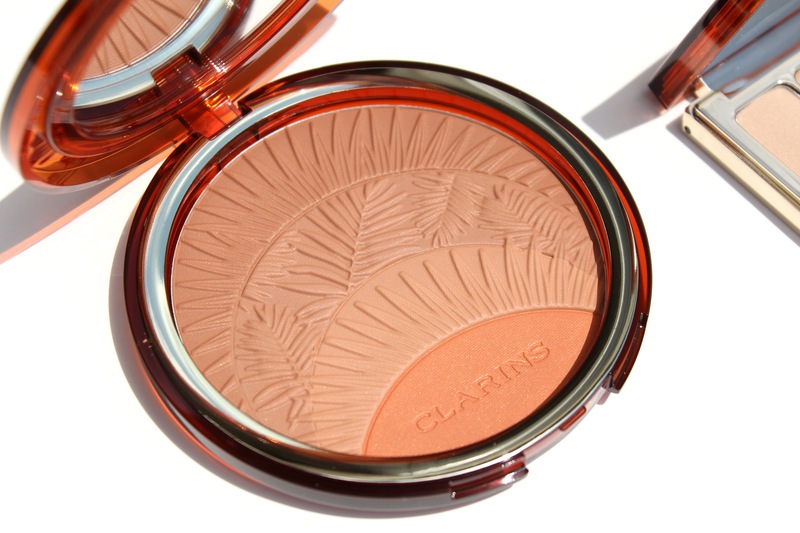 The compact itself is so beautiful, the bronzer is carved in botanical pattern adding a beautiful finish to the compact. 4-Colour Eyeshadow Palette (C$45.00) is a four eyeshadow palette with an ultra soft texture that is made from 100% minerals and plants for the sleekest and most natural results. 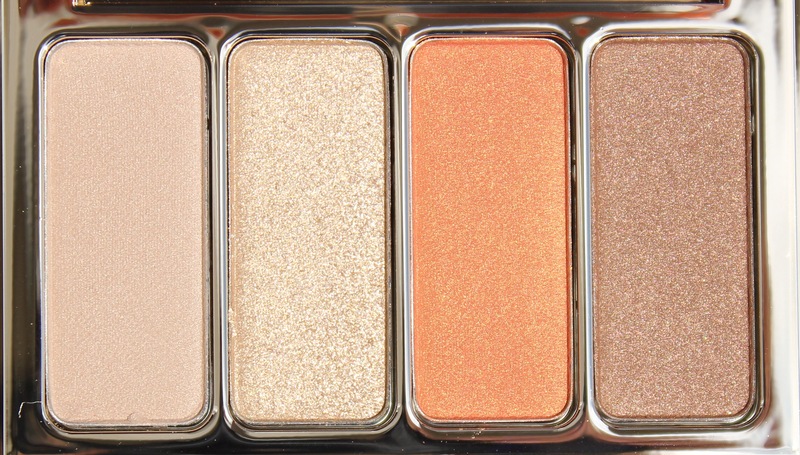 The eyeshadow palette carries a very nice warm shades like beige, golden, orange and brown. All shades have different textures like matte, satin and shimmer. They are highly pigmented and blends beautifully together. You can play around with theses shades to create many different looks that takes you from day to-night. I have used Clarins 4-Colour Eyeshadow palettes before and I must admit that they’re one of my favorite formulas. There are no fallout and you can go from light to very intense looks easily by applying them wet. The packaging is very luxuries looking and very convenient with a good size mirror for touch ups. Water Proof Eye Pencil (C$27.00) is an incredibly soft waterproof eye pencil that delivers very intense lines with rich colour. 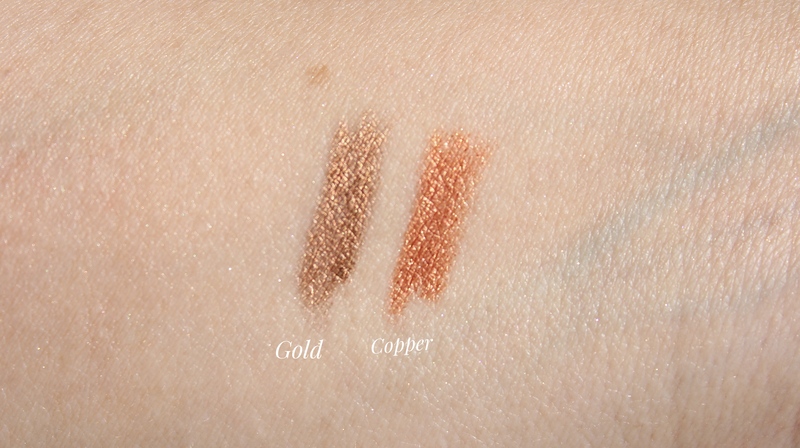 I was really excited to see these eye pencils come in these two beautiful golden and copper shades. I have had own couple of these pencils in brown and dark golden shades before and these have been my ultimate eye pencils. You can use it as an eyeliner or as a kohl both ways you get true colors and stays on all day without smudging. 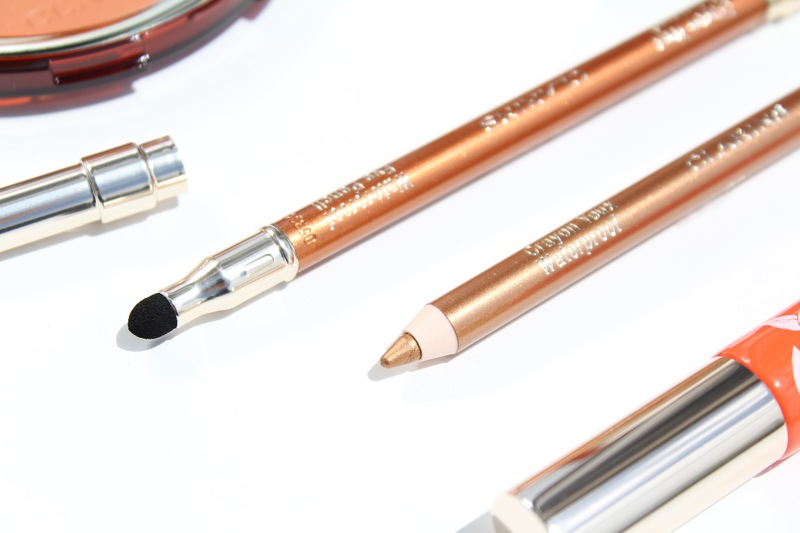 I personally prefer wear eye pencils as my eyeliner than liquid ones, just because I like the smudge eyeliner look as well as their staying power over the liquid eyeliner. 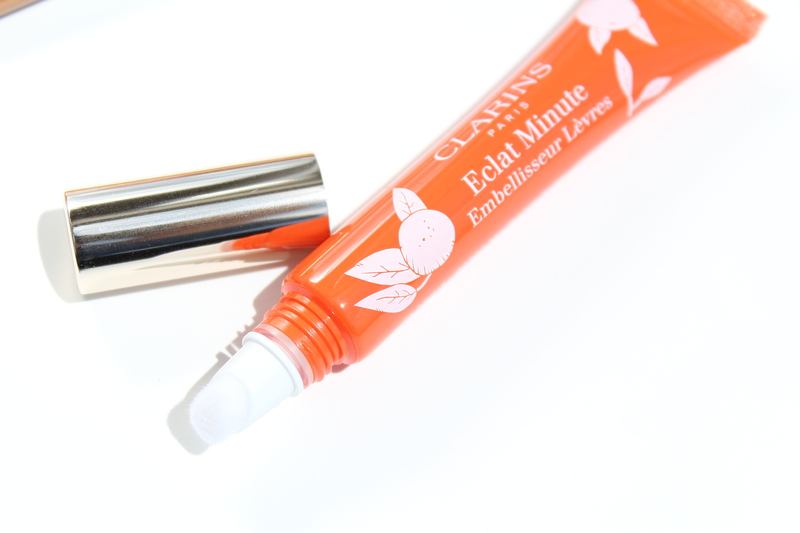 These eye pencils from Clarins carries an ultra soft formula that is easy to apply and it carries an smudging eye sponge which is one of the best smudging brush I have ever tried before. You can wear it in the heat for in the pool these stays input all day long. Instant Light Natural Lip Perfector (C$20.00) is a soft gel like texture lip gloss that comes in two new shades – Pink Grapefruit and Juicy Mandarin. The colors are really fresh perfect for this summer time. These carries a very translucent texture with high shine that adds a nice glowing effect to the lips. A perfect lip gloss to carry on will you’re on the go. You can wear it alone or wear it over you lipstick, it will not only give lips a fuller lip illusion, it will keep lips soft and smooth all day long. 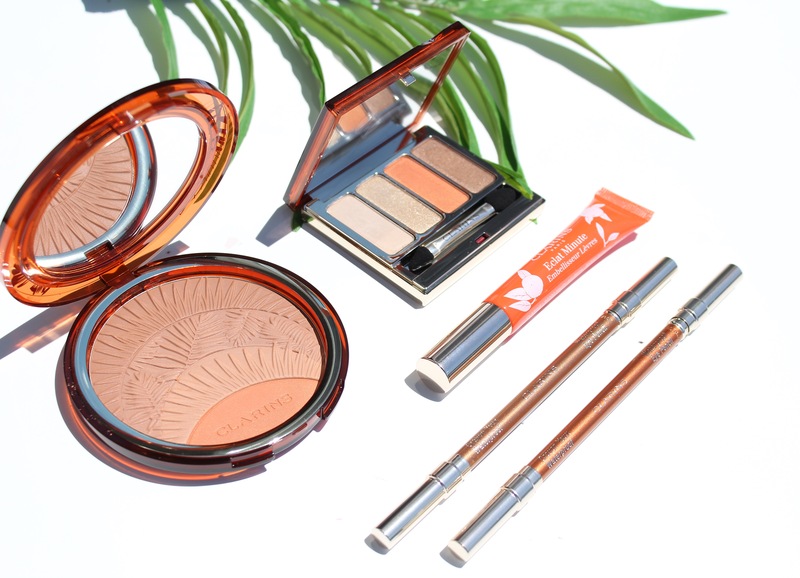 Over all a huge thumbs up to this Sun-kissed summer collection from Clarins. I have been always loved the skin care and the make up products from the brand and this season I feel this collection carries perfect products where it can be used all year-long. The whole collection carries nice warm tones to enhance all skin tones and textures. Right now it’s very hard to pick one favorite product from the collection. Sun-kissed Summer 2017 Make-up Collection is now available online and in all department stores at Clarins counters. Many thanks to the Clarins team for sending over the Sun-kissed Summer Collection for reviewing purposes.